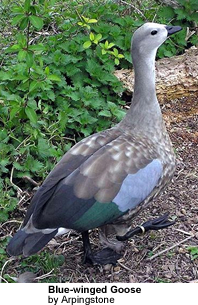 The Blue-winged Goose (Cyanochen cyanoptera) is a waterfowl that occurs naturally in Ethiopia - which is located in the Horn of Africa (the easternmost part of the African landmass). This is a stocky grey-brown bird measures about 70 centimetres (28 in) in length. 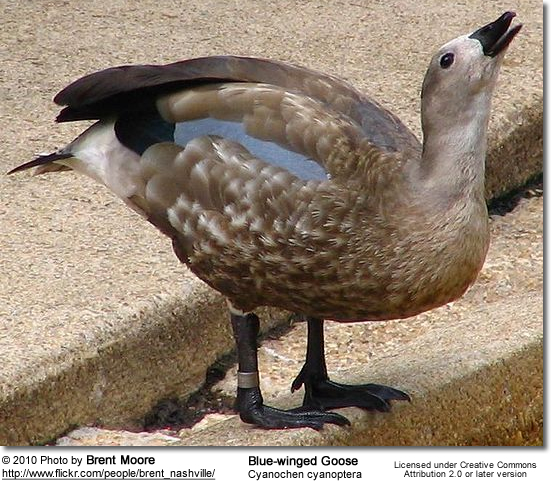 It has a slightly paler head and upper neck. It has a small black bill and black legs. In flight, the pale blue forewing can be seen. Immature birds have a thick and loose plumage, which has been described as "furlike." 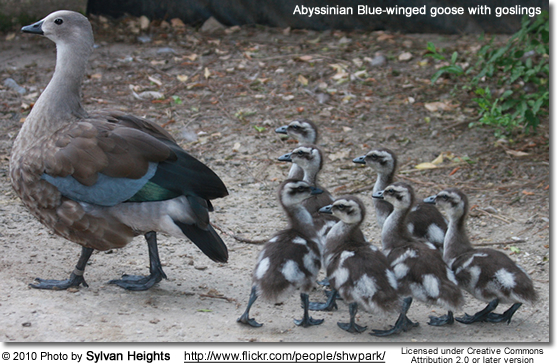 Blue-winged Geese feed by grazing, and seem to be largely nocturnal, loafing during the day.